Obama Scandal Tour, Wednesday, Jan. 25, 4 pm! Nixon had the Watergate scandal. Warren Harding had Teapot Dome. And during his eight years in office Barack Obama presided over a veritable host of scandals--ranging from IRS targeting of political groups, to the death of Ambassador Stevens in Benghazi, Libya, to the unsecured email server of his Secretary of State. Inauguration Week is a fitting time to review the many ethical lapses of the departing Administration, while tying its malfeasance to other major scandals in American history-as well as Presidents who managed major issues ethically and skillfully! Meet in Lafayette Square, next to the Andrew Jackson statue in the center of the Square. Price: $15. Tour length--about 2 hours. You must RSVP to attend. To: savvyveteran@gmail.com. * The record federal debt-more than all the other Presidents combined! * How President Jefferson dealt with Libyan "pirates"
* What Chief Executives presided over the weakest economies in U.S. history? * Obama and the "JV team"
Your guide is a ex-Presidential speechwriter and ex-writer for Jay Leno's "The Tonight Show". Get insight on new Administration, by examining the scandalous behavior of the previous one! Please join us the evening of Tuesday, January 31st for a screening of the dramatic feature film The Bleeding Edge which brings home the ugly realities of China's forced organ harvesting in ways that dry technical reports cannot. ATP members have been sent an evite and registration link. 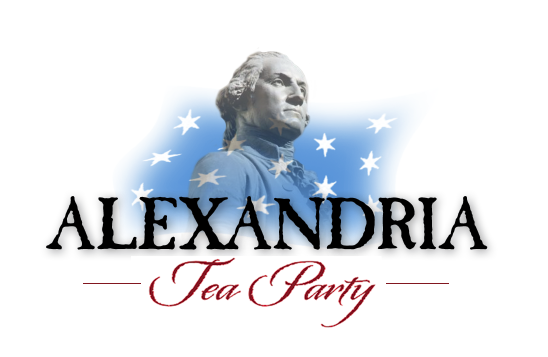 All others - Contact mail@alexandriateaparty.com to reserve your seat. Join us for a Reagan Ranch Experience! Last Act: The Final Years and Emerging Legacy of Ronald Reagan (2015). To be released on March 21, 2017 is Reagan Rising, The Decisive Years covering the period between 1976 and 1980 when Reagan's political outlook and philosophy underwent an enormous and significant change. Shirley's Reagan books have been hailed as the definitive works on the Gipper's campaigns of 1976 and 1980. The London Telegraph called Shirley as "the best of the Reagan biographers". Highlighted book titles link to the RRLS Amazon page, where your purchase provides a small donation to the ongoing work of the Ronald Reagan Lecture Series.